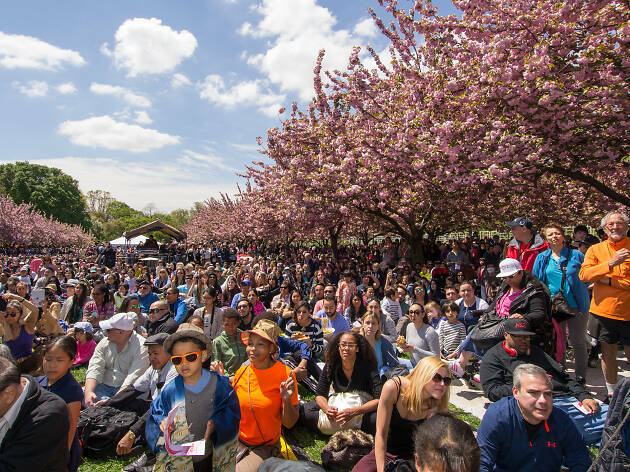 Some the best NYC events in April celebrate Earth Day. NYC isn’t the greenest city, but New York sure knows how to give Mother Nature a proper party and some much-needed recognition. 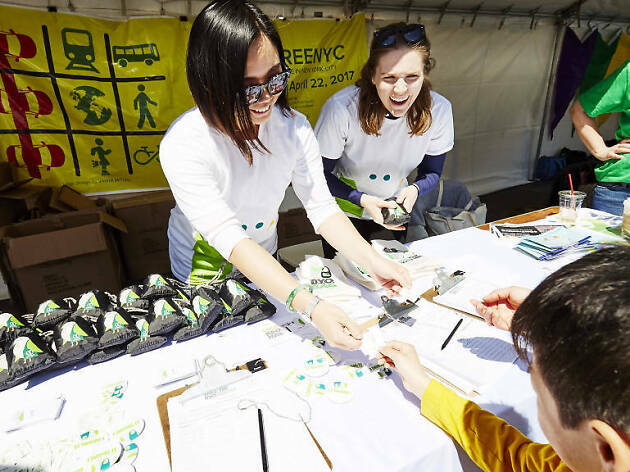 The best Earth Day events in NYC including volunteering to clean up parks in NYC or beaches to ensure they stay litter-free. 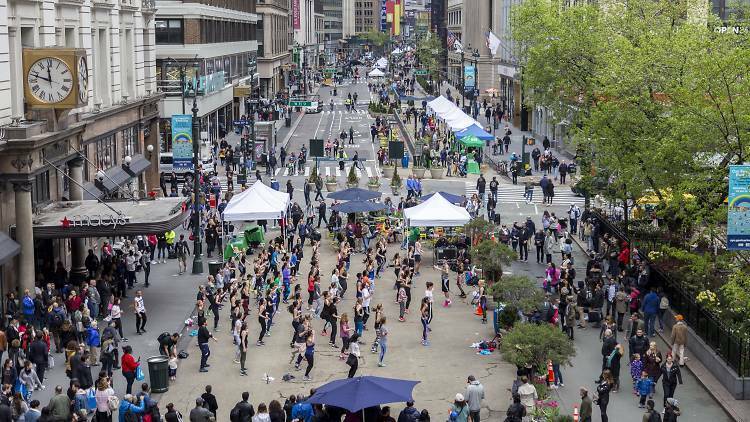 There’s also a free Earth Day festival in Union Square and a $1 clothing sale at a well-known thrift store. 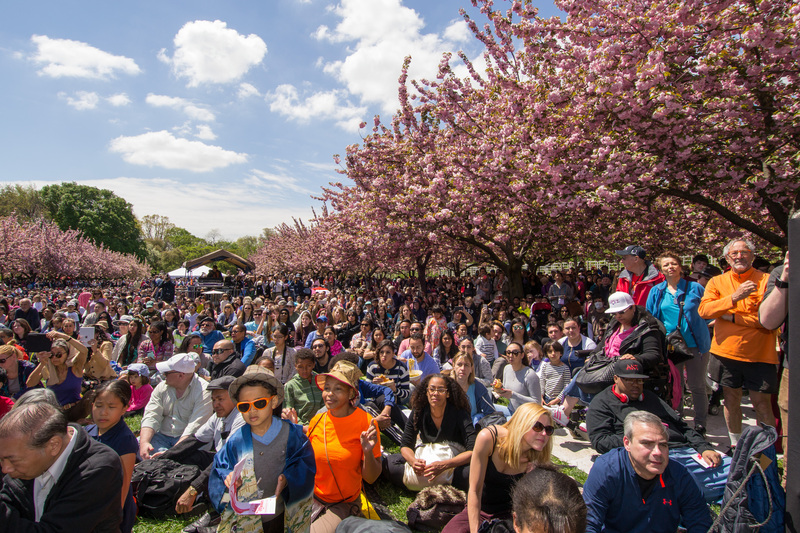 Get ready to do some tree hugging and check out fun things to do outside. 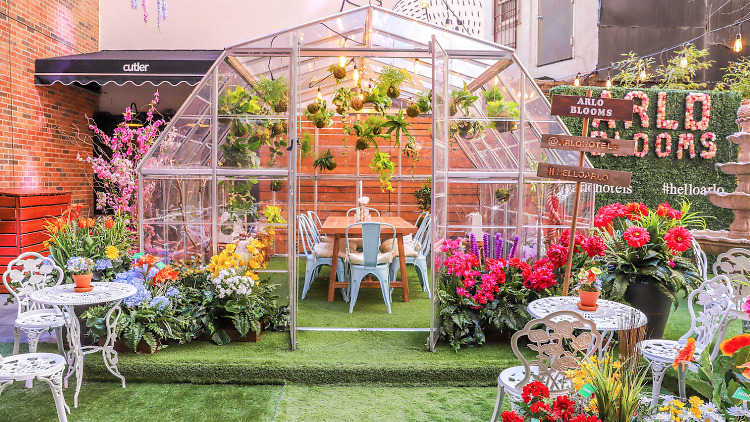 Arlo Soho is raising the bar to help you lead your best #GardenParty life at its outdoor courtyard/garden dubbed Arlo Blooms. In honor of Earth Day, the hotel is hosting a free environmentally-focused festival and fundraiser during Earth Day weekend (which also coincides with Easter weekend and 4/20). During the fest, check out live music and DJ sets all day, eco-friendly shopping opportunities, CrafJam's flower crown workshops, as well as free sound bath meditations, Cryofuel facials (first come, first served) and more. Do you despise cars? Sick of them gumming up New York’s streets and polluting the air? Well, for one day only, you'll have the chance to gallivant around a mile-long stretch of Broadway without having to look both ways. 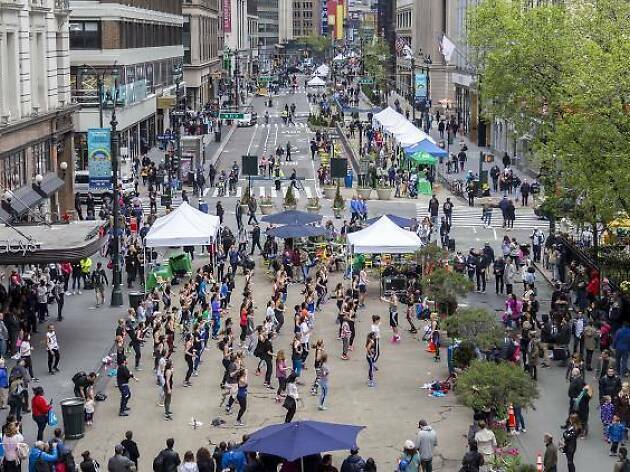 From 9am to 3pm on the Saturday after Earth Day (Saturday, April 27), the city is making thirty blocks of Broadway between 42nd Street and 17th Streets completely car-free. 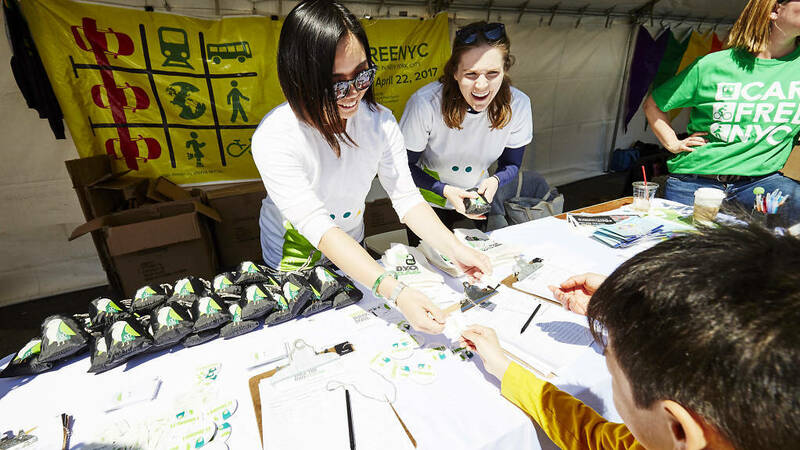 The initiative, now in its fourth year, gives New Yorkers a chance to imagine a world that prioritizes pedestrians and cyclists over four-wheelers. 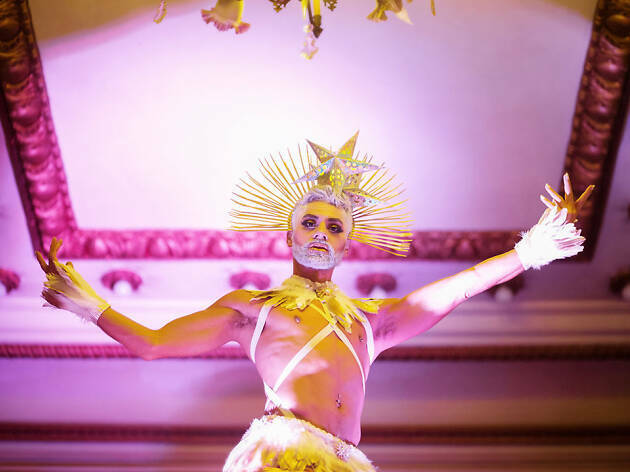 During the event, a series of activations and performances will occupy six different rest stops:Times Square (42nd Street and Broadway), Garment (38th Street and Broadway), Herald Square (34th Street and Broadway), City Zone (26th Street and Broadway), Flatiron (23rd Street and Broadway), and Union Square (17th Street and Broadway). 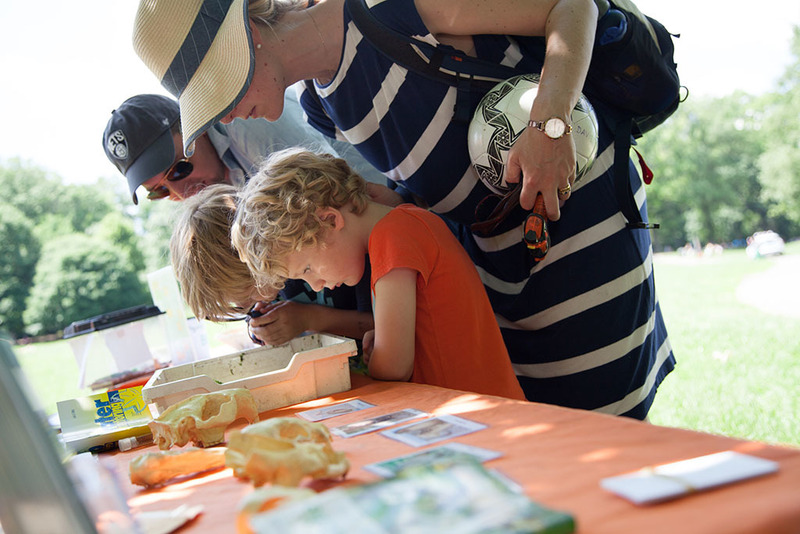 Throughout the entire stretch, city agencies and nonprofit groups will host a series of environmental programs that promote activism and provide education on things like climate change and sustainability. 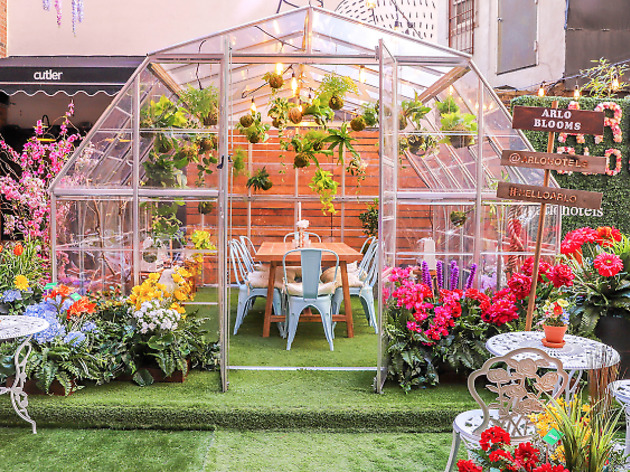 There are certainly plenty of ways to promote environmental awareness on Earth Day—but this event is likely the most entertaining. There’s nothing like a day of worshipping our planet to put an optimistic spin on dwindling resources, rising sea levels and the alarming acceleration of climate change. 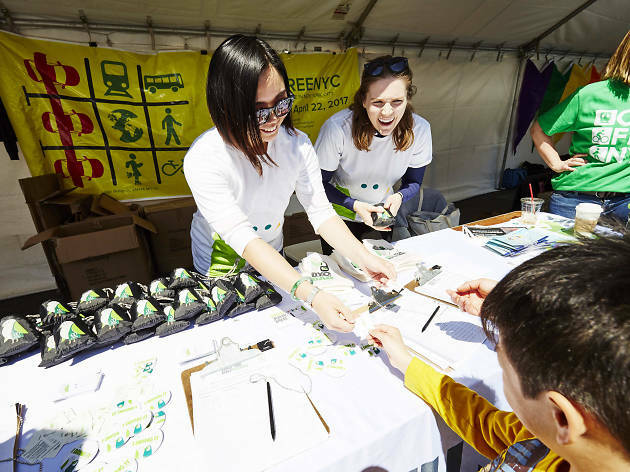 Head to this annual street fair to get familiar with dozens of environmental non-profits and green businesses, then kick back and enjoy some live performances while you plot how to up your eco-friendly game. The party masterminds at House of Yes are behind this Earth Day celebration featuring live performances, jamming tunes, a sustainable market, a beauty parlor with biodegradable glitter, sound meditation and panels on eco-friendly topics like "Living a Plastic-Free Lifestyle" and "Art and Climate Change." 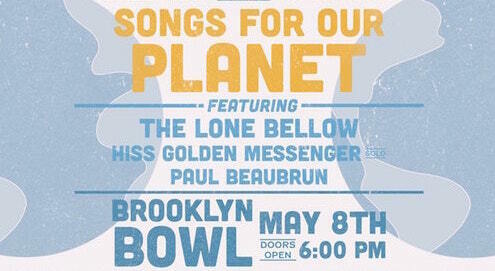 And get this: it's free all day and proceeds go to sea-loving non-profit Oceanic Global. 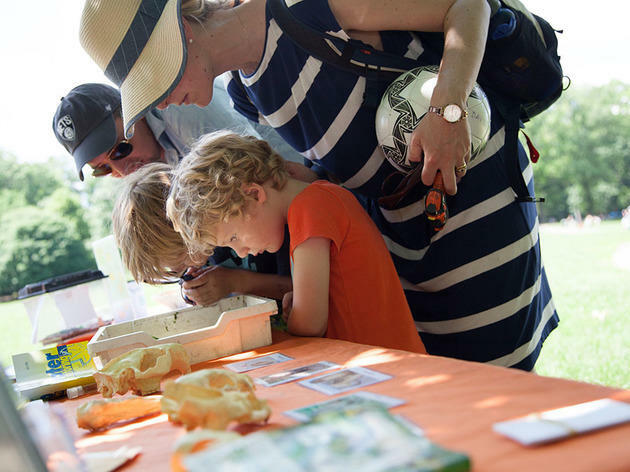 Head to Prospect Park’s historic boathouse and Audubon Center to become one with nature at the park's annual Earth Day celebration. Visitors can meet birds of prey at the raptor demonstration or take a catch-and-release fishing lesson where naturalists teach skills like how to tie a fishing knot, attach bait and cast the line. Bait, tackle and fishing license are provided. All you need to bring is a little patience, which shouldn't be hard considering you'll be relaxing with a beautiful view of Prospect Park Lake. 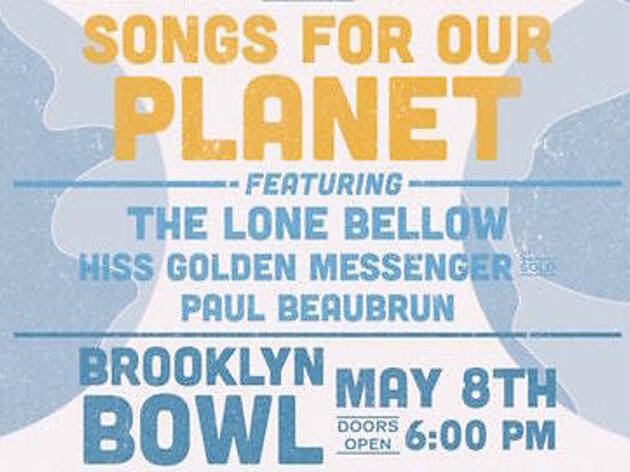 Brooklyn-based country-soul rockers the Lone Bellow sit atop the bill at this concert benefitting environmental organization 1% for the Planet. The event offers a code to get 25% off a Lyft ride, but, let's be honest, riding your bike or taking public transport is a little more apropros.